Norwegian oil company Statoil finally did what climate activists, environmentalists and several top Norwegian politicians have been urging for years: Sell off the last of its highly controversial oil/tar sands assets in Canada. “This has been an absolutely catastrophic project for Statoil,” claimed one Greenpeace activist as others expressed profound relief. Statoil announced Wednesday night Norwegian time that it had agreed to sell its wholly owned Kai Kos Dehseh (KKD) oil sands project in Alberta, including the Leismer facility and the undeveloped Corner project, to Canadian company Athabasca Oil Corp. Statoil will log a hefty loss on the sale of as much as USD 550 million excluding possible “negative currency effects” when the deal closes sometime next year, pending regulatory approval. Statoil noted that the sale means it “will no longer operate any oil sands assets,” much to the relief of all those who have protested against the venture since it began nine years ago. Oil sands projects have long been accused of being “dirty” and generating large amounts of carbon emissions in addition to tearing up the earth. In the end, they also proved unprofitable, at least in Statoil’s case. 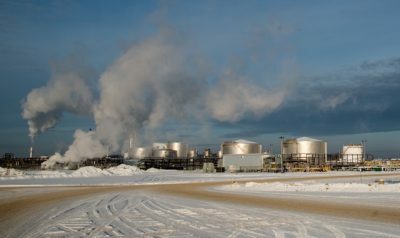 Statoil officials insisted that they had “continually improved operational performance, kept a good safety record and delivered strong production from Leismer” since launching into oil sands in 2007. Despite all the protests over the oil sands venture on environmental grounds, Statoil insisted that its “divestment” was made primarily because of financial considerations, claiming that it was in line with its “strategy of portfolio optimisation to enhance financial flexibility and focus capital on core activities globally,” which center on offshore oil prodiction. Statoil was careful to note in its statement about the oil sands sale that it wasn’t abandoning Canada entirely: Its “core” offshore activities include those off Newfoundland. 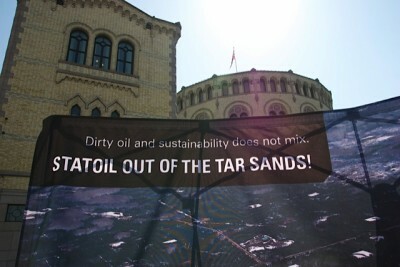 Norman and other oil sands opponents have protested Statoil’s oil sands investment at every shareholders’ meeting since 2009, demonstrations have been held in front of the Norwegian Parliament and several Members of Parliament have urged Statoil to dump its oil sands investments. The oil sands involvement was particularly embarrassing for the former left-center Norwegian government that included the Socialist Left party (SV), which found itself powerless in halting the project even though it had control of Norway’s ministry in charge of environmental affairs. The Labour Party under Prime Minister Jens Stoltenberg also had trouble convincing voters that it was taking carbon emissions seriously and spending billions to help save rain forests abroad while allowing state-controlled Statoil (the state still owns 67 percent of Statoil’s shares) to run oil sands operations in Canada. Statoil’s former CEO Helge Lund, who led the push into oil sands, had claimed at the time that Statoil’s own oil sands operations would be cleaner and less energy-demanding than others. DN recalled that instead of operating with the open pits that left ugly scars on the landscape, Statoil would pump steam into the ground and drive out the oil more efficiently. It never succeeded: “We’re taking writeoffs here, so that shows how this has not been a project we want to continue,” admitted Statoil spokesmann Erik Haaland. DN reported that Haaland also admitted that all the negative attention on oil sands has influenced the decision: “We haven’t been unaffected by the attention the operations have had since 2007.” The ultimate divestment remained, however, a commercial decision, especially since oil prices fell and returns from the oil sands would be even lower than expected. 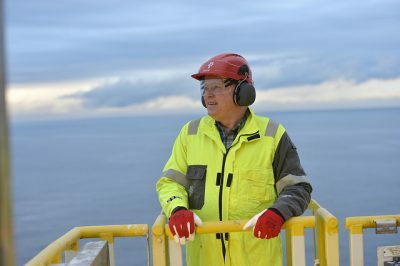 Lund has also left the company and Statoil’s new CEO Eldar Sætre now seems keen on giving Statoil a “greener” profile. Not only is the company investing more in renewable energy, he’s been known to make statements lately that there’s “too much talk” about Norway’s much vaunted “green shift” and “not enough action.” While Statoil is still keen to open oil fields in the Arctic, which is also highly controversial, it claims to be making serious efforts to cut emissions. Greenpeace and other organizations that opposed the oil sands project including WWF and even The Norwegian Church could also celebrate on Thursday. “We choose to see Statoil’s sale of the oil sands as a victory for pure common sense,” said Norman.